You're doing everything right but the numbers on the scale are creeping up. Here are five possible reasons why you're gaining weight even though you're eating clean and training mean. Most of the time we can pinpoint what causes our weight gain. Whether it's from obvious overeating or an equally obvious lack of exercise, we typically know the root cause—even if we don't want to admit it. But what happens when the scale goes up, and it's not because of a significant change in your health and fitness regimen? Surprisingly enough, there are several sneaky culprits of weight gain we all need to be aware of—ones that are all too common in our modern lives. 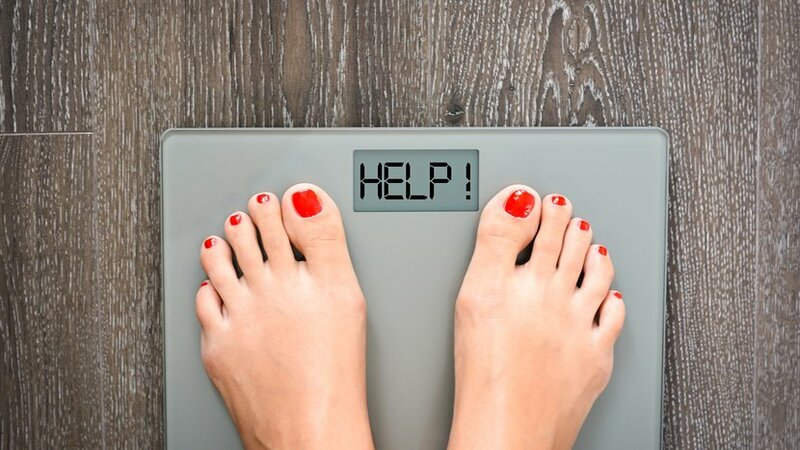 If you've experienced the frustration of unexplained weight gain, check out these hidden potential causes, see if they apply to you, and learn how to avoid them. There are plenty of reasons to get good shut-eye, and enough of it, and avoiding weight gain is certainly one of them. As we sleep, our bodies heal, our hormones regulate, and we are able to recover from daily stresses. When the body is deprived of sleep, however, it lacks the vital recovery time it needs to function properly. This means you wake up tired, sore, and groggy. Lack of sleep also makes you crave quick fuel sources—think high carb, especially high added sugar—because you wake up and immediately need a quick energy boost. This lack of sleep is also why you tend to mindlessly snack late at night before bedtime. Being tired and sleep deprived makes you more prone to reach for junk food and more likely to skip the gym. But let's say you're still keeping it together diet-wise and forcing yourself to go to the gym, but somehow you're still gaining weight. The most likely scenario is your metabolism-regulating hormones are thrown out of whack because they never get the chance to fully reset while you sleep. As a result, the more sleep deprived you are, the higher your levels of the stress hormone cortisol, which in addition to increasing your appetite also encourages fat storage. 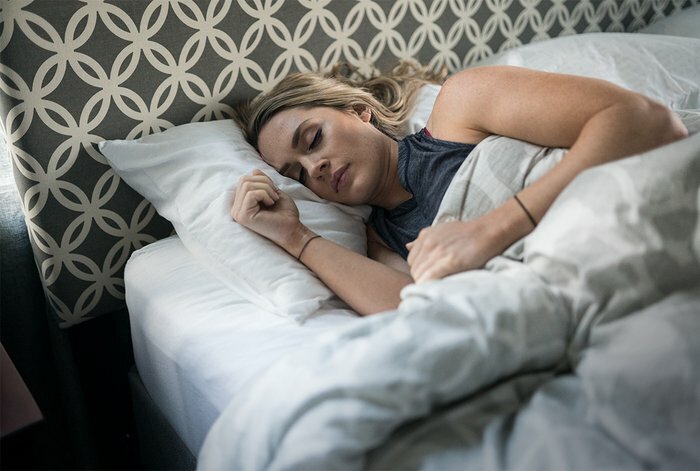 "It's not so much that if you sleep, you will lose weight," says Michael Breus, Ph.D., clinical director of the sleep division for Arrowhead Health Centers in Glendale, Arizona. "But if you are sleep deprived—meaning you are not getting enough minutes of sleep or good quality sleep—your metabolism will not function properly." The solution: If you're consistently cutting too much sleep out of your day, the best thing you can do is…sleep! The average adult needs 7-9 hours of sleep per night, so if you consistently fall short of this range, go to bed earlier or wake up later. If your schedule simply doesn't allow for more sleep, try to rest when you can by taking naps. Also, make sure you prepare healthy snack options just in case you find yourself reaching for a quick energy boost. High-energy foods like fresh fruit and raw nuts provide your body with nutrients and energy to get through your day without sabotaging your progress. Sugar is public enemy number one these days, and grocery shelves are lined with enough no-sugar-added and sugar-free products to fill a semi truck. But sugar free doesn't always mean healthy. As it turns out, these sugar-free foods may be more harmful to your fitness efforts than you think. Studies now show that sugar-free alternatives such as aspartame may actually increase appetite. Artificial sweeteners can be up to 200 times sweeter than regular sugar, so regularly consuming these products skews your taste preferences toward overly sweet foods. This triggers sweetness receptors in the brain to constantly crave sugar, which can make dieting even tougher than it was before. Another dangerous factor of the "diet-drink" phenomenon is the fact that your body tastes sugar and responds to sugar, but doesn't receive any real sugar. 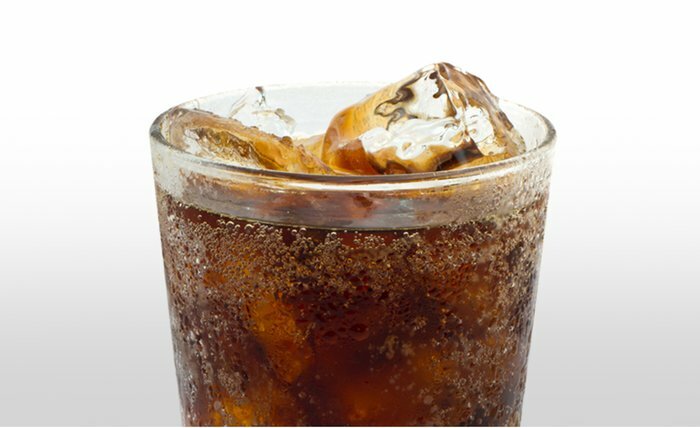 Although there's no sugar in diet drinks, the sugary taste still signals your body to release insulin to process sugar, and without sugar to process, your body responds by craving even more sugar to give the insulin something to do. Over time, this vicious cycle of excessive insulin output can lead to insulin resistance, weight gain, and even type 2 diabetes. The solution: Artificial sugars are a concern if you have a habit of eating sugar-free foods and drinking "diet" drinks on a regular basis, so the first and most obvious solution is to avoid all sugars, even artificial ones. If giving up all sweetness in your life is simply not an option, then try creating your own, low-calorie flavorful drinks. Add berries or pomegranate juice to water, sip green tea with honey, or enjoy naturally flavored seltzer. There are plenty of flavorful options out there, and your taste buds will adjust to these no-sugar options faster than you think. Stress is inevitable, and we all deal with it in one form or another on a daily basis. When too much stress arises, though, poor nutritional choices often follow. "Eating can be a source of solace and can lower stress," explains Jason Perry Block, MD, an assistant professor of population medicine at Harvard University. "This happens, in part, because the body releases chemicals in response to food that might have a direct calming effect." Stress also can play a major role in cortisol production, a hormone that in high levels may interfere with weight-loss goals. The solution: To reduce stress in your life, make a habit of engaging in activities that relax your mind. Walk in nature, take a yoga class, work out, watch a comedy, meditate, or just take a 5-minute break from whatever is stressing you out. This has become a bit of a hot topic recently, and the debate rages on as to what causes reactions to certain types of food. Regardless of the cause, sensitivities and intolerances are a series of physiological responses that your body might have to certain types of food. They are not, however, the same as food allergies, which can be life-threatening. 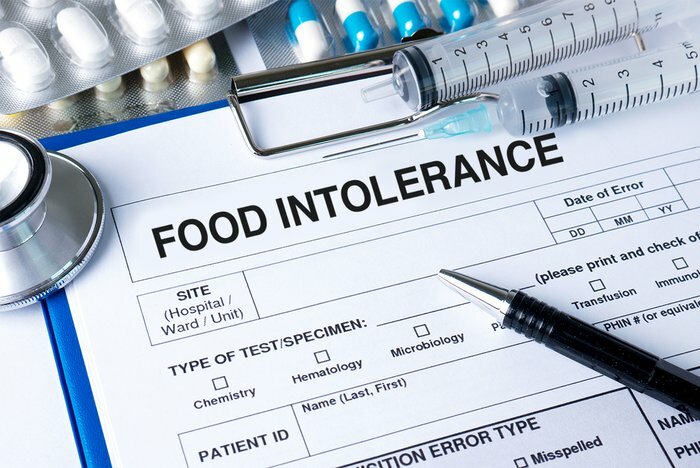 Food-intolerance symptoms vary from person to person, but the most common include bloating, gas, indigestion, fatigue, mental fog, irritability, moodiness, and weight gain. This is due to the inflammatory response of the immune system when exposed to certain foods. As New York Times best-selling author Mark Hyman, MD, explains in his Huffington Post article "How Hidden Food Sensitivities Make You Fat," the inflammatory response can cause weight gain, and makes it harder to lose weight. "Inflammation is one of the biggest drivers of weight gain and disease. It seeps throughout the body, establishing an environment ripe for weight gain and chronic disease," he says. The solution: The good news, according to Dr. Hyman, is that he's seen patients lose significant amounts of weight just by cutting certain foods from their diet. Ask your doctor to run a blood test to see which foods you may be sensitive to. Or, if you'd prefer, test out certain foods on your own by eliminating common trigger foods—like dairy or gluten—from your diet for at least six weeks to see how your body responds. If you discover a sensitivity or intolerance, remove the food from your diet. You should notice a dramatic change in how you look and feel. Your diet may be filled with clean eats, but calories are still calories, and they can be overdone—and I'm not talking about greens. 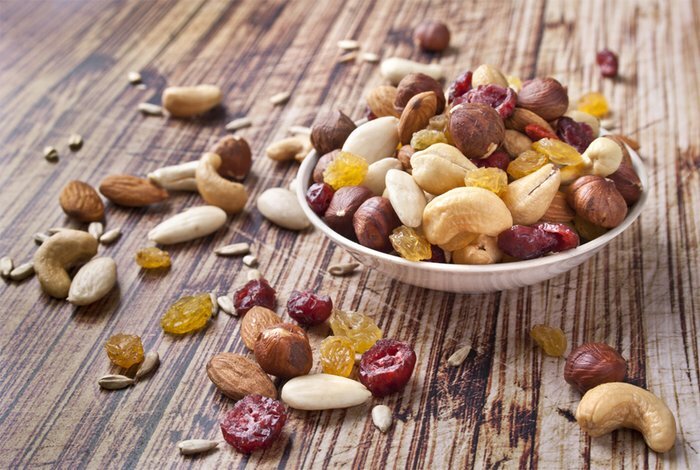 Take mixed nuts, for example: A serving size of nuts is about 22 pieces and 190 calories. Multiply that by two and your total comes to 380, the same as a small meal. Fast forward to dinner, where you can finally relax because the day is winding down. Maybe you end up going back for seconds or even thirds because, hey, you're eating healthy foods, so why not have a little extra? The bottom line is this: Your calories may be clean, but even too much of a clean food is still too much. Consuming extra portions of even the healthiest of foods is still enough to cause a shift in the scale that you aren't looking for. The solution: There are many ways to get your portions back in check. You can use a smaller plate, chew more slowly, stop eating the moment you no longer feel hungry, drink water before a meal, or measure food items to become more familiar with what a proper portion looks like. Any of these behaviors will give you a better insight into the portion sizes that are right for you. Unwanted weight gain can be frustrating, especially when the cause is hard to pinpoint. The best thing you can do when you see the scale start to creep is step back and evaluate any recent changes in your daily routine. Chances are one or more of these culprits are to blame. The good news is, your body is a smart machine, and if you treat it kindly with nourishing foods, less stress, and more sleep, you will be rewarded with the strong, healthy body you want.